Scientists Say Their Giant Laser Has Produced Nuclear Fusion : The Two-Way Researchers from California's Lawrence Livermore National Laboratory say they've figured out how to get their laser to squeeze hydrogen atoms together to make helium atoms, releasing energy in the process. 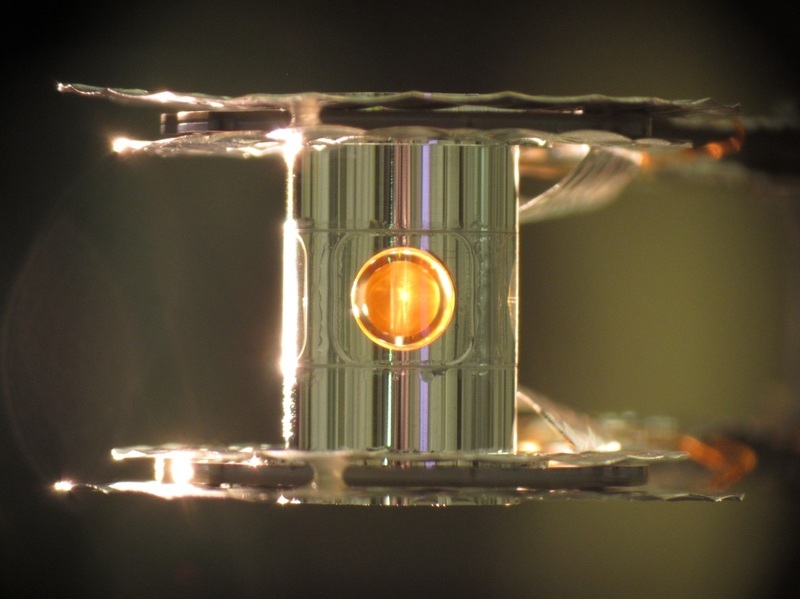 It's an important step in the decades-long quest for fusion energy. The National Ignition Facility's 192 laser beams focus onto a tiny target. Researchers at a laboratory in California say they've had a breakthrough in producing fusion reactions with a giant laser. The success comes after years of struggling to get the laser to work and is another step in the decades-long quest for fusion energy. Omar Hurricane, a researcher at Lawrence Livermore National Laboratory, says that for the first time, they've produced significant amounts of fusion by zapping a target with their laser. "We've gotten more energy out of the fusion fuel than we put into the fusion fuel," he says. The goal is fusion: a process where hydrogen atoms are squeezed together to make helium atoms. When that happens, a lot of energy comes out. It could mean the answer to the world's energy problems, but fusion is really, really hard to do. Hurricane says that each time they try, it feels like they're taking a test. Inside a capsule the width of a No. 2 pencil sits a tiny ball of hydrogen fuel. The lasers squeeze the fuel until it fuses, releasing energy. "Of course you want to score real well, you think you've learned the material, but you just have to see how you do," he says. Over the past few years, NIF has been getting a fat "F." For all its power, it just couldn't get the hydrogen to fuse, and researchers didn't know why. The failures have led NIF's critics to label the facility an enormous waste of taxpayer dollars. 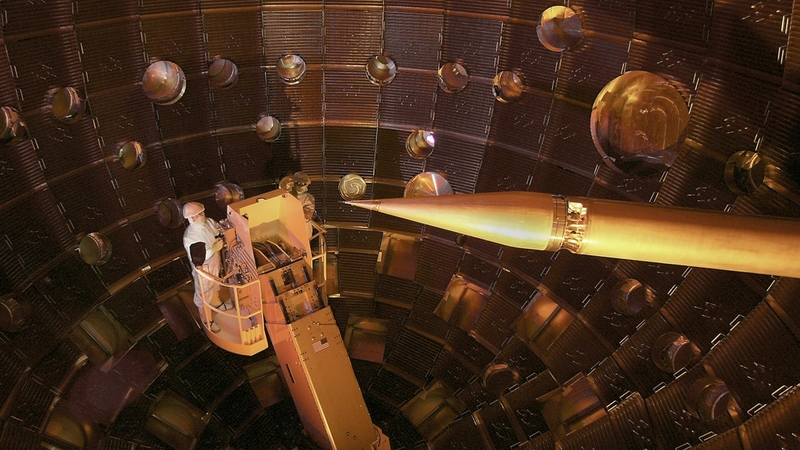 In 2012, the government shifted NIF away from its fusion goals to focus on its other mission: simulating the conditions inside nuclear weapons. But the fusion experiments continued, and Hurricane says researchers now understand why their original strategy wasn't working. In the journal Nature, he and his colleagues report that they've finally figured out how to squeeze the fuel with the lasers. By doing a lot of squeezing right at the start, they were able to keep the fuel from churning and squirting out. The lasers squeezed evenly and the hydrogen turned into helium. The new technique can't reach "ignition," which is the point at which the hydrogen fusion feeds on itself to make more. Even so, JET's Cowley says, this is still a big moment for NIF. "I think it's still a very important step forward, they reached fusion conditions, they made some fusion happen, and that's not been done before [with a laser]," he says. Hurricane says no one knows for sure whether NIF can really reach the point of ignition. "It's not up to me; it's up to Mother Nature," he says. "But we're certainly going to try."